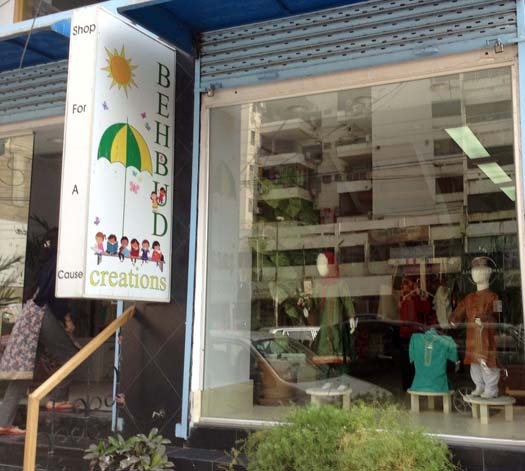 Behbud has three production facilities located in Mehmoodabad, Clifton and Korangi which also serve as vocational training centers for cutting, sewing, machine and hand embroidery. The centers offer a six month course, a one year certification course and a two-year diploma. Certified instructors prepare students for the Sindh Board of Technical Education (SBTE) exams. Upon graduation from the diploma course, students have improved earning capacity, better employment opportunities and a capacity for lifelong learning and job satisfaction. 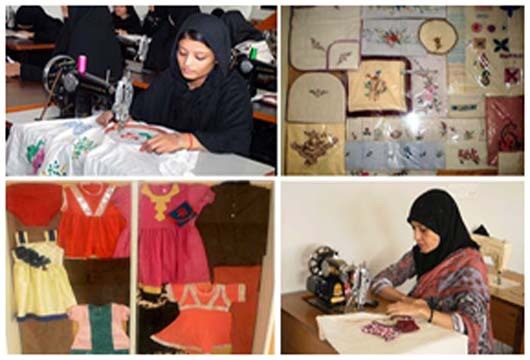 A variety of fabrics including silk, cotton and velvet and a range of blocks are used to create intricate modern and classic designs for various products including table cloths and napkin sets, prayer mats with matching dupattas, silk scarves, kurtas etc. Women who are trained in block-printing are empowered to earn a living and become financially independent. The duration of the leather production course is around 6 months. Many of the workers and trainees at Behbud’s leather production facility are students who work part time in order to pay their tuition fees. Some of the trainees have found jobs with leather companies and are now financially secure. 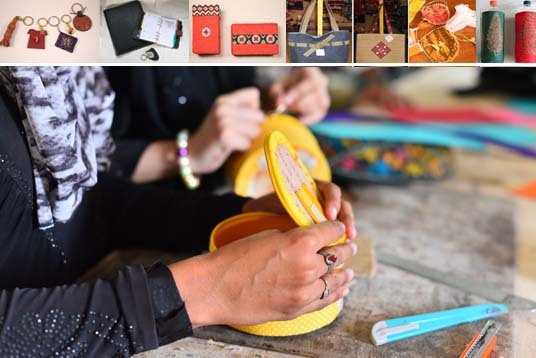 In addition to leather, the workers also use leatherette, jamavar, jute and other textiles to produce a range of items including baby bags, photo frames, gift envelopes, wallets and handbags, diaries, folders, lamp shades, mats, coasters etc. The Grooming Centre was inaugurated in June 2012 with the help of a generous donation from Nairobi. Mrs. Daulat Rahmatullah of Ravissant provided the technical support, and helped set up the syllabus. The Grooming Centre offers a six month course, and operates two shifts a days from 9am to 12.30pm and 12.30pm to 4.00pm. Behbud’s grooming center trains women in the art of make-up, hair care and styling, skin care and beauty treatments. The trainees have been using the skills learned at the grooming center in make-shift salons at their homes in order to generate income for themselves. From July to Junes 2017 almost 40 girls completed this course and then from January to June 2017, 13 more girls completed this course. Most of these girls have been using the skills learned at the grooming center in their homes in order to generate some income for themselves or they have found jobs in beauty parlors. 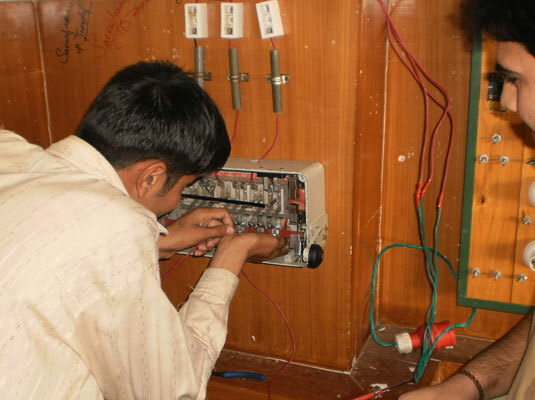 The electrician course is registered with the Sindh Technical Board and students who pass the S.T.B.E. exams are awarded a diploma. The course is 6 months long and includes 3 months of training in household wiring and 3 months in industrial wiring. Behbud’s students have consistently excelled in this field. Syed Hasnain Hussain received First Class First division in Sindh Board and Sajjad Hussain received second position in the S.T.B.E. exams. 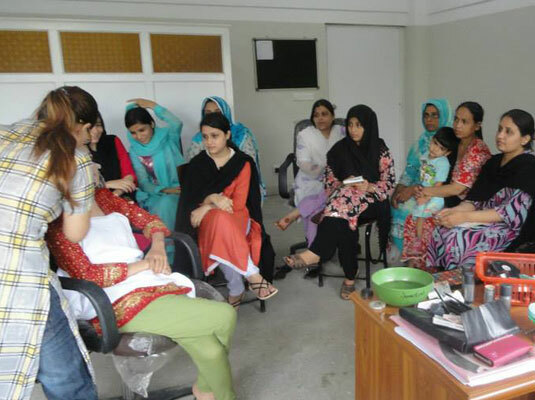 Behbud’s Computer Department is equipped with 24 work stations and provides both software and hardware training for women and men at highly subsidized rates. Courses include MS Office, XP, graphics, Oracle, web design, fashion and jewelry design. The Computer Department also conducts English language classes prior to the computer courses that are taught in English to ensure that students can understand what they are being taught. 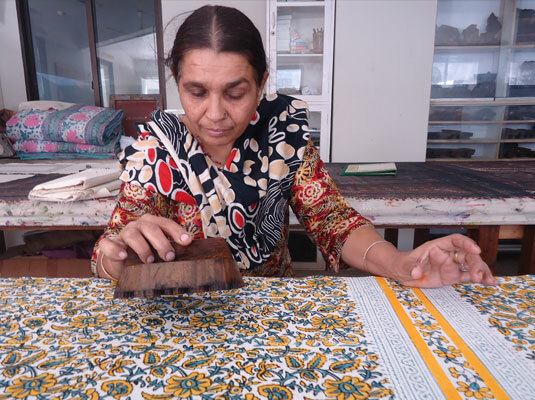 Akleema Bibi is a full-time employee at the Behbud Vocational Training Center’s Block Printing department and has been with Behbud for over fifteen years. After the death of her husband in 2000, Akleema Bibi had to support four children on her own and fulfill all of their household and educational expenses. 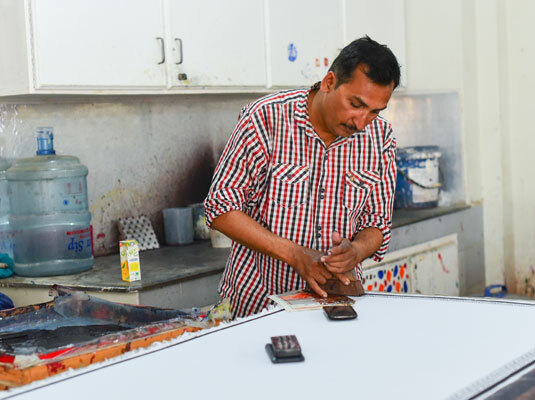 Her job as a blockprinter at Behbud offered her a flexible work schedule enabling her to balance work and family responsibilities while the income enabled her to support her family. Today, Akleema Bibi’s children are independent and settled and she is a proud grandmother of three grandchildren. Akleema Bibi’s children want her to retire and rest at home but Akleema Bibi continues to come to Behbud as she enjoys the work environment and likes to spend her time doing something productive.